Eindhoven - Ruime kamer in één van de mooiste wijken van Eindhoven: de jaren-20 wijk in Gestel. De kamer is ca. 4 bij 4 meter en heeft een ruim balkon. Toegang tot badkamer en toilet. Draadloos Internet. De kamer is rookvrij. Dichtbij uitvalswegen, park en stadsschouwburg, High-tech Campus. Het centrum is ongeveer 15 min. lopen. De beheerster is kunstenaar. Luxe ontbijt is uiteraard inclusief. Email voor info/reservering of bel 06-15054036. 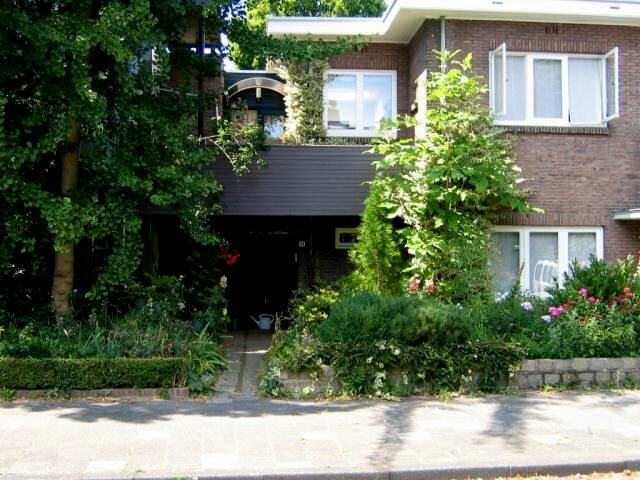 Eindhoven centre - Spacious room in one of the nicest neighborhoods of Eindhoven. The room is approx. 16 m² (175 ft²) and has its own large balcony. Access to bathroom and toilet. Wireless Internet. Non smoking. Nearby city theatre, High-tech Campus, park and access roads. The town centre is 15 min. away by feet. The proprietor is artist. Luxurious Dutch breakfast is included. We speak Dutch, English, German and French. Mail for more information or bookings.